Last month, I had the opportunity to visit Los Cabos via LAX on Alaska Airlines for the Los Cabos VIP Summit, an annual event catering to those in the tourism industry, in particular tour operators, airlines, hotel partners, media and travel presenters. The event took place at the newly reopened Paradisus Los Cabos, located approximately 25 minutes from Los Cabos International Airport and 25 minutes from the marina area of Cabo San Lucas. Paradisus Los Cabos is an all-inclusive, beachfront resort with 350 all-suite accommodations and a separate Royal Service check-in lounge and family concierge. One of the highlights of this resort is that it is located on a swimmable beach. It also has a convention center on site with more than 3000 sq. ft. of multi-function flex space (which can also be converted into 10 meeting rooms), which is where the Los Cabos VIP Summit was held this year. The purpose of the Los Cabos VIP Summit is to provide updated tourism data, statistics and news to those who sell or service the destination and to provide an opportunity for attendees to understand what’s new in the destination, recent and future developments and safety of the destination. Managing director of the Los Cabos Tourism Board, Rodrigo Esponda and Jorge Gamboa, director of the Mexico Tourism Board in Los Angeles were present, among others listed below, to welcome attendees to the summit. From left to right: Rodrigo Esponda, managing director of the Los Cabos Tourism Board; Jesus Ordoñez, managing director of the Baja California Sur State Tourism Board; Jorge Gamboa, director of the Mexico Tourism Board, Los Angeles; Luis Genaro Ruiz Hernandez, tourism secretary of Baja California Sur State Tourism Board; Eduardo Flores, director of Asudestico, a time share development association; and Enrique Turcott, operations director of real estate developer Grupo Questro. In October alone, Los Cabos welcomed 172,300 visitors, and overall visitation grew by 8.8 percent compared to the same period last year. 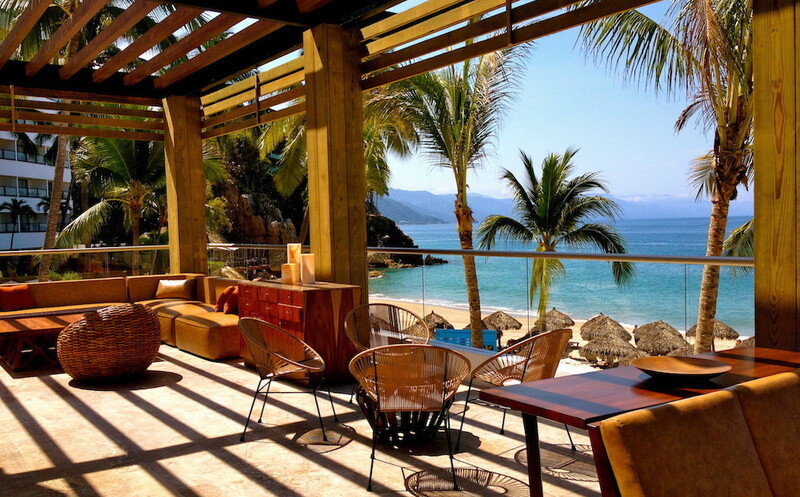 “We are aiming to have 70% occupancy at $300 per person; that’s the average daily rate in Los Cabos. Even though this year we have 2,000 more rooms than a year ago, we are keeping the 70% goal. We don’t want to be a destination with a 95% occupancy rate at $100 per person,” said Esponda. Air carriers are also increasing service to Los Cabos. Southwest added 350,000 more seats into Los Cabos in 2017. United and American have also increased their lift, as well as Delta. Over the last decade, the luxury hotel product has increased and is flourishing. Some of the new luxury hotel product include Chileno Bay Resort & Residences, Grand Velas Los Cabos, Le Blanc Spa Resort Los Cabos, Montage, Four Seasons, Ritz-Carlton, Solaz and more. “Openings of luxury hotels and new products like the partnership between Grupo Vidanta and Hakkasan show a new face of Los Cabos that caters to high-end, sophisticated entertainment and hospitality without sacrificing the natural and unique beauty of the destination,” commented Esponda. Read more about other excursions at the 2017 Los Cabos VIP Summit with a visit to El Merkado, a boat ride out on the ocean to see El Arco up close and a site visit to the new Le Blanc Spa Resort Los Cabos and Solaz coming soon.